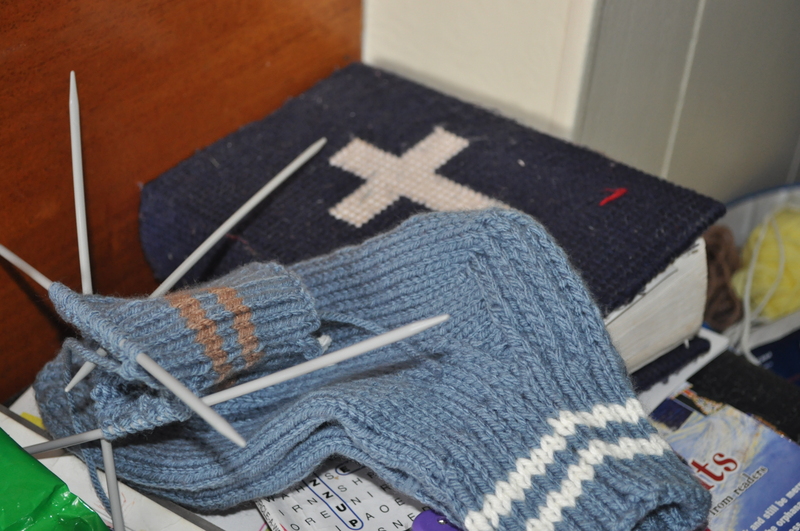 Knitting has been a long-lived tradition in Newfoundland & Labrador. Most people no longer have spinning wheels and wool carders to make their one homespun wool. It can be purchased and we may be headed in that direction for increase the value of our product. My Grandmother still does some knitting, although she is spends much more time at other craftwork, which will include quilting, sewing and plastic canvas. I remember she use to crochet, as well. One afternoon, I managed to catch her knitting put down beside her bible next to her chair where one can often find her if she is not spending her day in her flower garden, vegetable garden or strawberry patch. Knitting seems to be another rural tradition that may be on the verge of dying. My sister, my mother, my aunts and many people in the community do not knit. However, many people who have knitted a lifetime continue to do so today and are vast producers. It was a treat when my Aunt Chris (Christina) gave me two knitted pairs of stockings and a pair of vamps as a gift. They have been greatly enjoyed. After attending a Craft Industry Development Workshop on May 19, 2011, hosted by Nordic Economic Development Corporation, in partnership with CBDC NORTIP and Department of Innovation, Trade and Rural Development, I was able to meet other talented knitters. One knitter in particular from the Town of Main Brook seemed quite committed to the trade. She produced some exceptional product, especially for children. This individual loved trying different patterns and using a variety of colours. When you have a love for a craft or hobby there is opportunity to elevate hobbyists into micro-enterprises, home-based businesses or working co-operatives. It will really all depend on the craft producer or the hobbyist. Some are satisfied with small production and dis-interested in commercialization. While others may be interested in earning additional money, but not want to take on starting their own business. I can only imagine a small child wearing this little Christening dress. 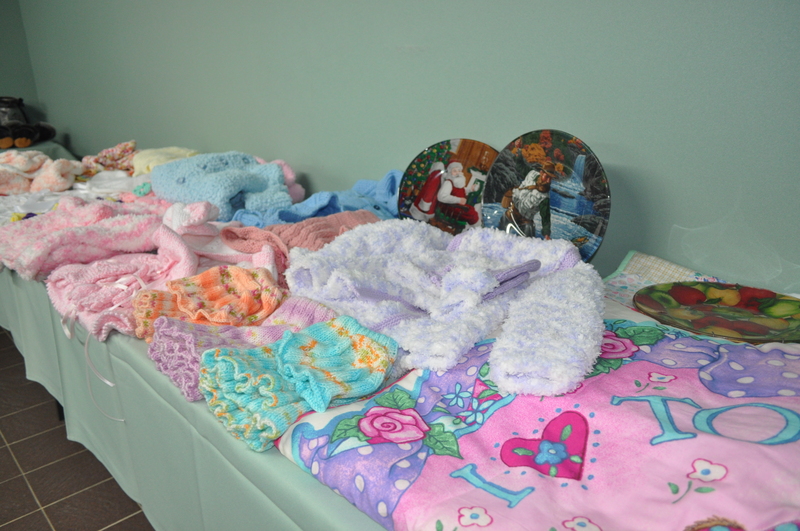 There are cottage industries that can be developed on the Great Northern Peninsula. 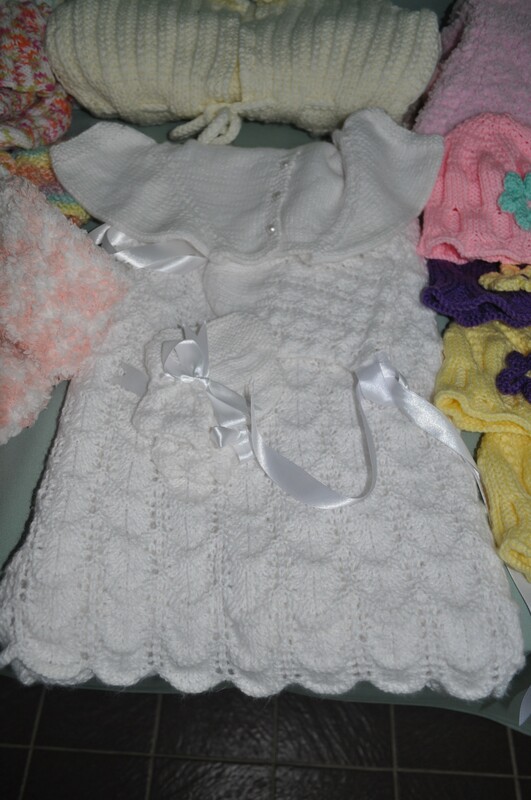 Maybe someone will become specialty producers for knitted Christening dresses and sell them at a premium. These type of ventures are happening in other parts of rural North America, where handcrafted furniture or embroidery is sold to the world. Our telecommunications highway gives us this opportunity! Unfortunately, not all areas on the Great Northern Peninsula has access to Broadband Internet, which will be a limiting factor for on-line selling for some. However, we can not let this obstacle prevent business and community development. We can work with a stakeholder that does have access to be our online broker of cultural commodities.